kol kas teaserio pavidale bet pirmos info jau yra ir zaidimas realus ir toks bus..na idomu toks mature rpg, stilius arto jau gero..norisi daugiau info ir pirmu screenu zaidimo..nes kurejai tai na daug zadantys tikrai. CD Projekt Red provided the first details on its new RPG during its Summer Conference. Additionally, a new piece of art was shown – see above. 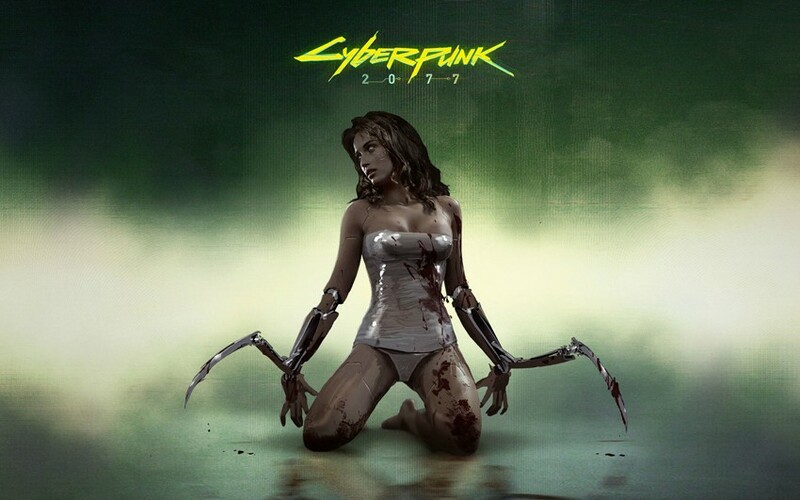 CD Projekt has announced Cyberpunk, its new RPG is based on the pen and paper game Cyberpunk 2020. It’s set in a futuristic world with a degenerated society and like the tabletop game, it will be a mature RPG, set in the series’ “realistic and brutal” world. Cyberpunk designer and RPG vet Mike Pondsmith has been working on the videogame adaption with CDP for over a year, and took to the stage to talk about the game’s setting. As in the Witcher series, players will face morally ambiguous choices, their actions influencing events in the world at large and the fate of the individuals they encounter. “For over two decades, I’ve been proud to say that Cyberpunk’s been the gold standard of what it means to be a true cyberpunk game,” said Pondsmith. “And it’s been a huge success for me and our many fans, with over 5 million players worldwide. But over all that time we haven’t found the right team to bring our Cyberpunk world to full digital life — until now. This game will be developed by a new team at CDP RED composed of veterans from the Witcher franchise. siek tiek keiciasi zaidimo pavadinimas. bet dabar tai jau oficialu. kartu su nauju zaidimo websaitu. 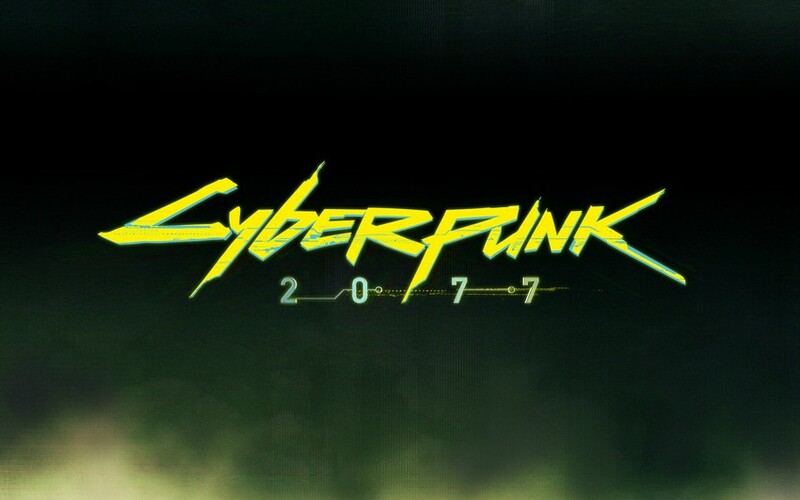 CD Projekt RED's in-development future-RPG Cyberpunk is now Cyberpunk 2077, the developer has just announced during a GOG livestream. Beyond its new title, the game was also revealed to be a sandbox game set in Night City, a location from the original Cyberpunk 2020 tabletop pen-and-paper RPG on which the new game is based. Warsaw, 18 October 2012 – CD Projekt RED has officially announced the title of its in-development role-playing game. "Cyberpunk 2077" will be set in the world created by Mike Pondsmith, one of the fathers of the cyberpunk genre and the creator of the cult-classic pen-and-paper RPG, Cyberpunk. "The Team has to love the material. The Team has to want to be faithful to the material. The Team has to have the skills to execute the material and see that vision through to the end. They have to be on fire with the desire to make an extraordinary game. And that leads, at last, to why we hooked up with CD Projekt RED" – Mike Pondsmith commented, why he has chosen to work with the Polish game developer. The cyberpunk atmosphere, well known from William Gibson's novels, the "Blade Runner" movie and the famous pen-and-paper game, "Cyberpunk 2020", will surround the player. The creators promise that "Cyberpunk 2077" will be true to the essence of the cyberpunk genre. Players will be thrown into the dark future of the year 2077 and into a world where advanced technologies have become both the salvation and the curse of humanity. A multi-thread, nonlinear story designed for mature players (a CD Projekt RED trademark) will take place in the sprawling metropolis of Night City and its surroundings. 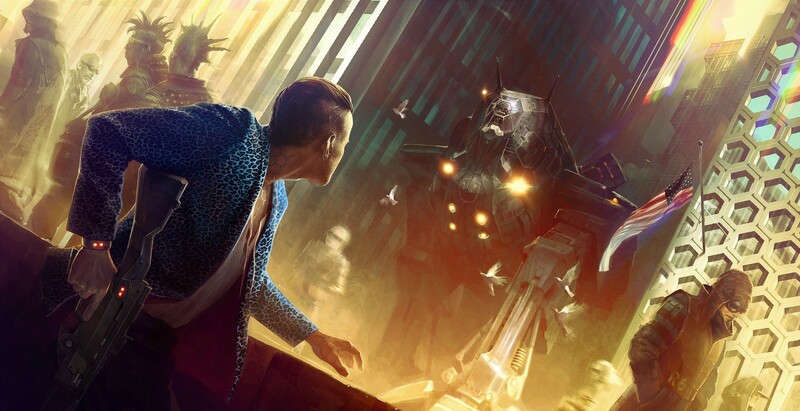 Players will have a chance to visit places well known from "Cyberpunk 2020", including a combat zone completely taken over by gangs, the legendary Afterlife joint and the nostalgic Forlorn Hope. Freedom of action and diversity in gameplay will be delivered thanks to the sandbox nature of the game and mechanics inspired by the "Cyberpunk 2020" pen-and-paper system, fine tuned to meet the requirements of a modern RPG. 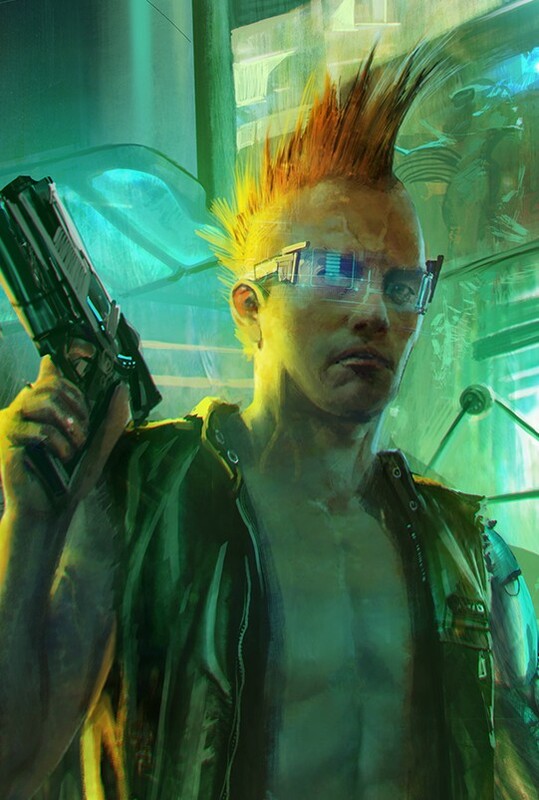 Gameplay will pump adrenaline through players' veins and be consistent with the celebrated Cyberpunk spirit – rebellion, style, edge, uncertainty. And of course, a cyberpunk reality cannot be deprived of murderous steel – guns, rifles, implants, dozens of gadgets and other varied pieces of equipment needed to survive on the streets of Night City. The developers are focused on making the technology of 2077 credible and exciting. Žinant kokius vaizdus matėm Witcher 2, tai šitas žaidimas turėtų vizualiai atrodyti tiesiog fantastiškai. Aš taip pat manau, kad tik į naujos kartos konsoles įkiš, nebent sukurs PC ir vėliau portą. Bus matyt. Kūrėjai tikrai ne lašaros, moka padaryti puikų produktą. deus ex style sveiki atvyke i Naktini miesta. ..kol kas laukiamiausias treileris, nes na tai kaip ir vienintelis is nauju zaidimu, is kuriu dar nesam mate jokiu vaizdu ..
pats treileris pasak kureju bus visas in-game engine,taigi jokiu CG, tai ir sitie trys screenai yra in-game. The Psycho Squad specializes in combating "psychos" — individuals who overuse implants and substances that boost or otherwise alter the human body. In Cyberpunk 2077, the player will be thrown into a dark future. The metropolis of Night City is a stage set to tell the tale of one individual, raised on the streets, who tries to lift himself up from the gutter and find a way to survive amongst boostergangs and megacorporations in a city of filth and sin. Drugs, violence, poverty and exclusion haven't disappeared by 2077, as people stayed they were for centuries – greedy, closed-minded and weak. But not only ghosts of the past trouble mankind, but new issues have appeared. Psychos go on rampages and the streets are filled with junkies addicted to a new form of entertainment – the braindance, a cheap way to experience the emotions and stimuli of someone else, someone living a more exciting life. Entering the mind of a serial killer means not only seeing the monstrosity he performs, but also living his lust to kill and fulfillment. taigi bus "non-linear, open-world RPG"
Mergina treileri ne androidas o gyvas zmogus, tiesiog daug augmentavusi ir nuo viso to jai pavaziavo stogas, iszude nemazai zmoniu ir kaip matom policija jai negaili kulku. Taciau negali su ja patys susitvarkyt, tam tas bicelis ten stovi uz jos, taip pat masyviai augmentuotas, specialaus elitinio padalinio agentas... zaidimas gali iseit ir 2015 taigi masyvus projektas nusimato. Taciau tai tik vienas is dvieju nauju siu kureju zaidimu.Antrasis bus parodytas vasario 5 diena ir iseis daug anksciau nei sitas.kazkoks taip pat atviro pasaulio RPG zadamas. Štai jis. Vienas žodis nuostabu... Žaidimas tapo vienu laukiamaiusiu. Džekeris jei rimtai kas cia nuostabaus? nu pats traileris apie zaidima praktiskai nk neparode, tik kad kazkoks npc buvo typo pagautas nusikaltimo vietoj ir poto pats pavirto i Cop'a ( Vis gi is traileriu medziagos praktiskai zaidime neatsidure) O apie zaidima vaizdas kolkas nesusidare... Pridursiu pats traileris tikrai grazus ir patiko.. tik nelb supratau ar ten tikrai viskas real time ir ar cia ant High End PC? Ou maj gad! Noriu, noriu! Nerealu! Next-gen? Po tokių šedevrų kaip The Witcher žaidimų, tiesiog neabejoju, kad šis žaidimas bus vienas ryškiausių naujos kartos žaidimų. Esu įsitikinęs, kad istorija bus superinė, nes kūrėjai nuolat pabrėžia, kad jiems labai svarbu gera istorija, o to man sočiai užtenka.